Common daisy (Bellis perennis): growing, planting, caring. Full description for Bellis perennis not yet available. A small rosette of lanceolate green leaves, above which are enthroned one or more flowers with yellow central capitulum surrounded by ligules most often white, but sometimes pink or red depending on the cultivars. Sow directly in place, on-line or spreaded on a surface - ideally between June and August to plant in October, in uncluttered, fine soil without gravel. Cover the seeds with seedlings soil and some sand. You can also sow between 10 and 13 ° C in March to obtain flowers the following winter. To germinate the seeds need a soil that is a bit compact, rich, in the sun or in half shade. One month after planting replant your daisies in individual buckets filled with potting soil. Keep the pots outdoors until the next planting period. Plant about ten plants per m². The daisies do not fear the cold, they are put in open soil either in autumn, or at the very beginning of spring, in a soil that is a bit compact, rich, in the sun or in semi-shade. Prefer cool situations. If you grow daisies, keep the soil moist at their base during growth, do not hesitate to water them regularly. From February to October, in the morning, harvest the flowers to cook them! Warning: pick only those that are not soiled. In the kitchen: use the flowers as quickly as possible. 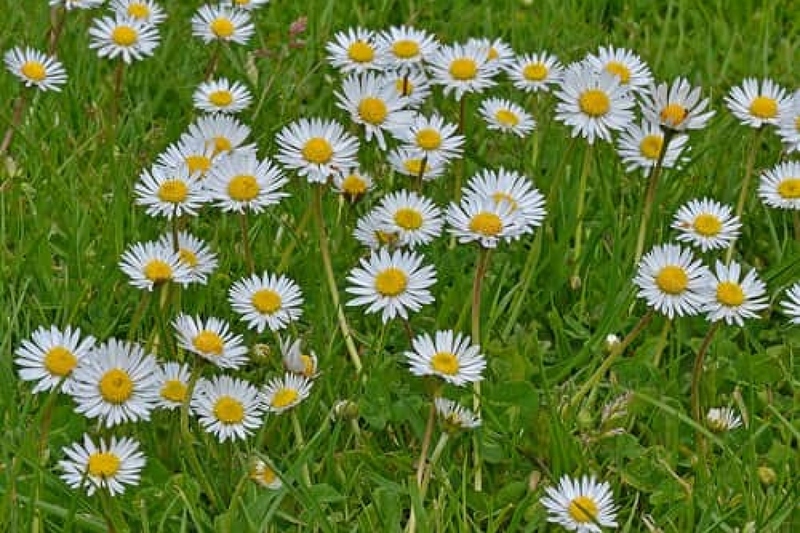 Daisies do not suffer from diseases that are worth mentioning.